Cranberries; the official state fruit of Wisconsin and Massachusetts. Photo by Jess Gambacurta/Flickr (Noncommercial Use Permitted with Attribution/No Derivative Works). Cranberries are grown in 20 of Wisconsin’s 72 counties (mostly in the central part of the state), and Wisconsin accounts for over half of the nation's cranberry production. Cranberries are a tradition for many Americans at Thanksgiving (cranberry is also a state symbol of Massachusetts - both the state berry and the state beverage). Cranberries evolved in unique wetland conditions created by melting glaciers (they are now commercially cultivated in "bogs" in the northern United States). This tart, ruby-colored berry was first named "crane berry" by the Pilgrims, presumably because just prior to blooming, the flower and stem resemble the head of a sandhill crane (these birds also love cranberries, and were seen wading the bogs, scooping them up). 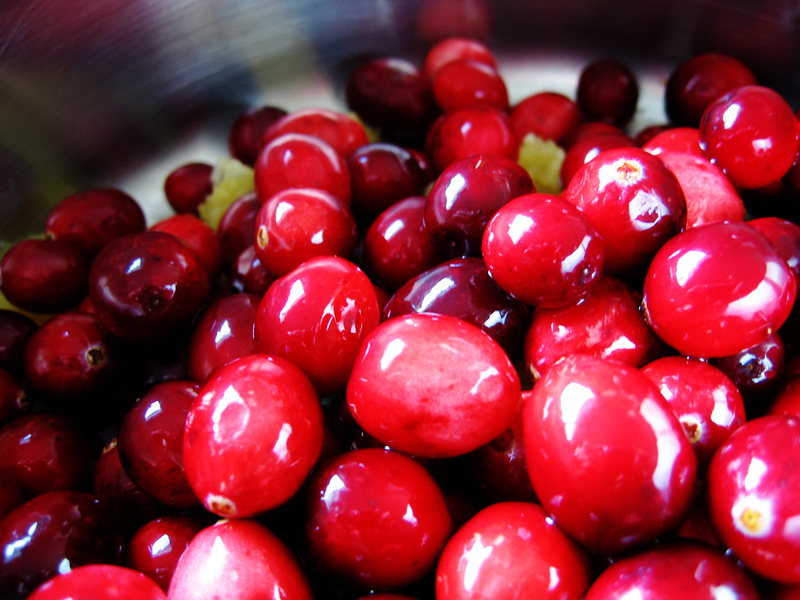 Cranberries were important in the diets of native Americans for hundreds of years before the Pilgrims landed. They ate them raw, dried, boiled with honey or maple sugar, and baked with cornmeal into bread. A mixture of cranberries, cornmeal, deer meat, and animal fat was pounded into cakes and dried in the sun to make pemmican (a 'trail cake' that did not spoil for hunting trips and long journeys). Native Americans also used cranberries for dye to color robes, rugs and blankets, and for medicinal purposes (they believed cranberries had a calming effect on nerves, and they made a poultice from cranberries to draw the poison from arrow wounds). 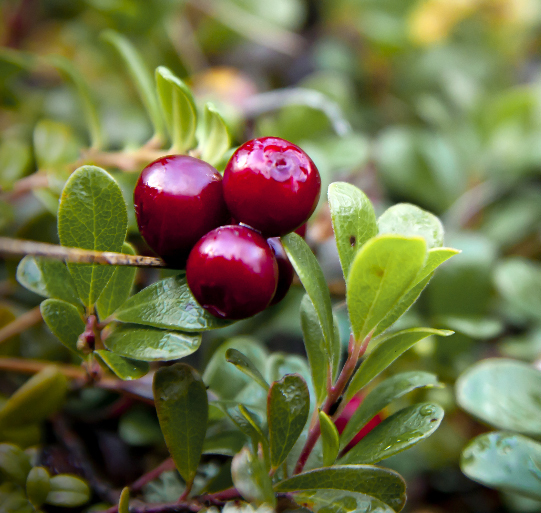 Pilgrims learned about the berry from the American natives and cranberries became part of the colonial diet as well. Sailors began taking cranberries aboard ships for whaling expeditions and the long journeys to China (cranberries are high in vitamin C and prevented scurvy). Cranberries are one of only three commercially cultivated fruits native to North America (blueberries and concord grapes also originated in North America). Cranberries; photo by Alex D on Flickr (noncommercial use permitted with attribution / share alike). 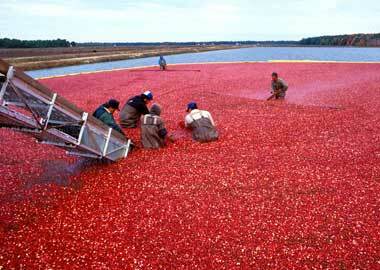 Cranberry harvest (public domain photo by Keith Weller | USDA-ARS).